Two weeks ago, me and a group of agents and marketing reps from the U.S. and Canada toured Guyana, as guests of the Guyana Tourism Authority. I had talked with one of the tour operators about Guyana for years and finally got to experience first-hand what he had been telling me about. To me, it seemed like such an exciting mix for those looking for something different. The country promotes it's amazing wildlife and Kaieteur Falls (the highest single drop waterfall in the world), but it offers much more than that. When you visit the interior, it's like visiting a frontier territory - a vast land, largely untouched, except for the natives and a few foreigners who came to carve out a life, as you can see from the video below. Antarctic Air-cruises - Why Are They So Popular? I had a meeting today with the sales rep for the Antarctic air-cruises and he asked me how he could help. I told him he could help by getting more space on their tours! As of October 31, of the 1,924 berths available for the 2018-2019 departures, 1,914 of them were already booked. For the 2019-2020 season the have a new ship coming on board and he told me it was already almost sold out for January 2020 departures! ​Why are they so popular? You may or may not know it, but there are probably about 13 ships that sail in the Peruvian Amazon. What makes cruises on the Aria special - what sets them apart from other ships? 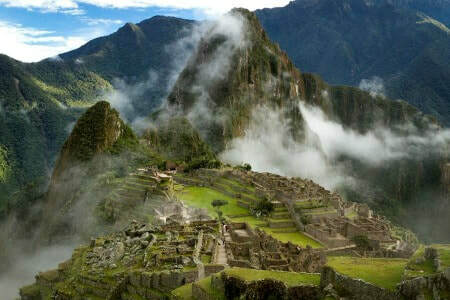 When travelers come to Cusco, among other things, we advise them about altitude sickness, known in Peru as soroche. By offering certain recommendations, our aim is to help them to avoid the symptoms of this condition. So that visitors can enjoy their trip in Cusco from the first day, we recommend that they follow the tips we offer below.